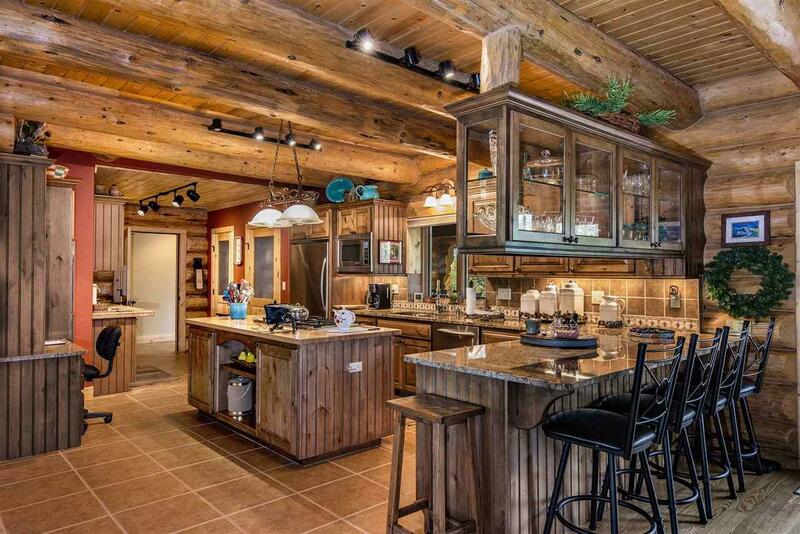 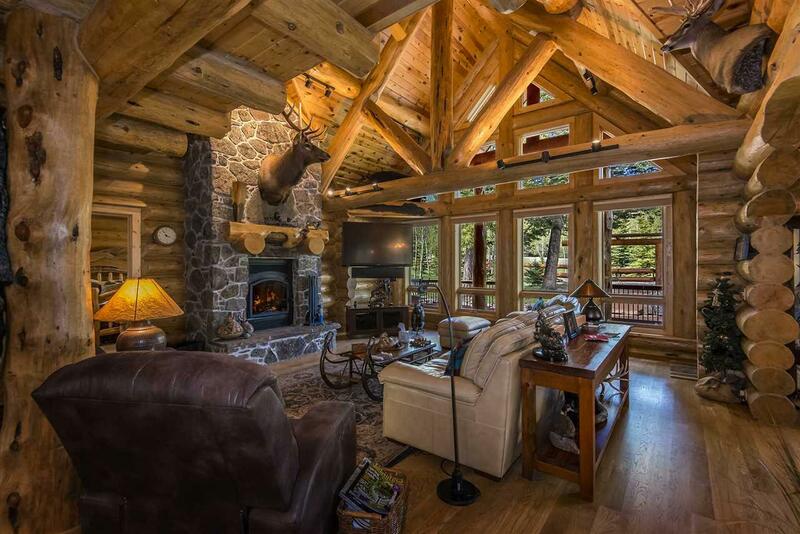 This has to be one of the most spectacular homes in Angel Fire. 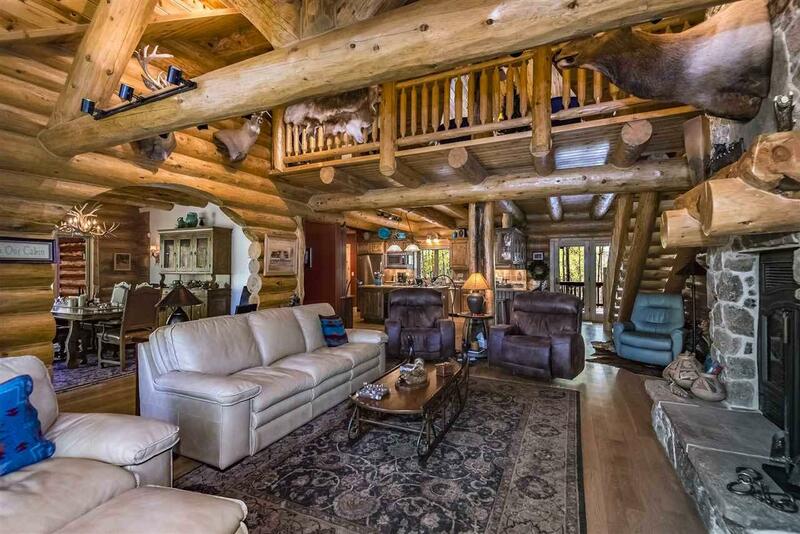 Some logs came from British Columbia and the house has been featured on the cover of a Log Home Magazine. 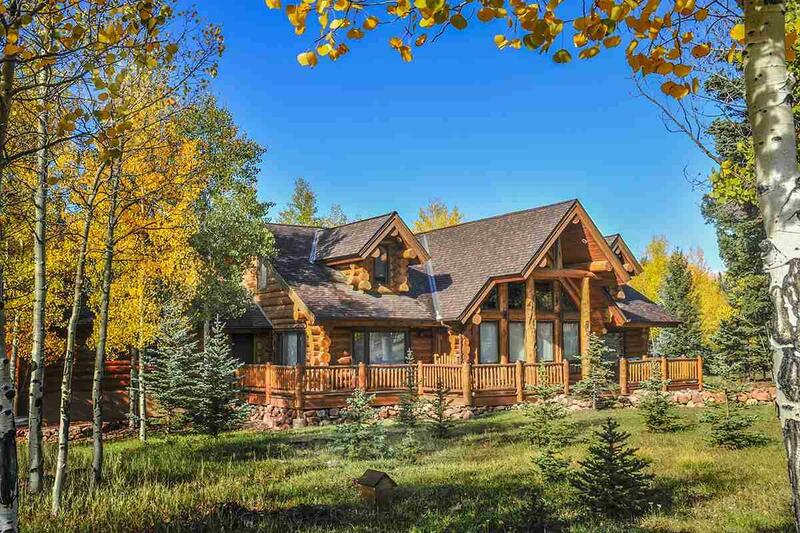 Central heat and air, 3 gathering areas, loft, game room, master on the main level, 2.2 magnificently landscaped yard including log fence, fountain, massive stone fire pit and picnic tables, aspen grove, 42' X 36' garage, stained concrete, carpet, tile and hardwood flooring, flagstone walkways around the house, a chef friendly kitchen with stainless appliances and granite counter tops and much much more.